After Many Years, I have run out of unique themes for the PhotoHunt. So . . . I have decided to let the PhotoHunt go. If someone else wants to pick it up, this is a great time to start with the New Year. The PhotoHunt for today is Fur. My friend Gail grows the cutest fur balls in her flower pots. These are my new favorite wellies . 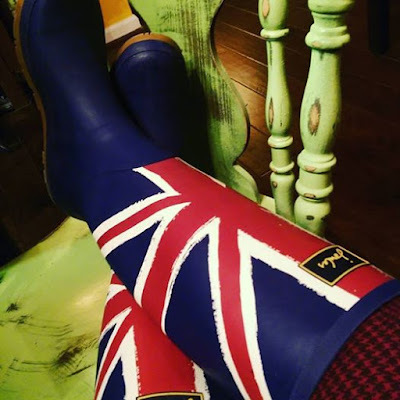 . . my theory is that a good pair of rain boot makes any rainy day brighter. The PhotoHunt for today is Lightning. No filter . . . This is just how gorgeous Positano is. These locks were left on the Ponte Vecchio by some Folks in Love. I'm wondering if these Happy eggs come from Tame hens? Share the PhotoHunter button. . . . and proudly wear it on your post.